The second article is an absolutely excellent piece on the survivor bias issue and how to deal with it. I hope this helps, J.E.! The real value is going to be found in adjusting for position/player type, as most empirical and anecdotal evidence says offense peaks earlier and defense (particularly big man defense) peaks later and declines more gradually. Bobbofittos wrote: can you post a graph w. O + D? Well, run through it and we'll see what happens. I'm sure there IS a survivor bias; I'm just not sure what the effect is in basketball vs. baseball. By the way, I did this all a while back with WS/48: http://godismyjudgeok.com/DStats/APBRme ... =2598.html . Did you use an aging curve on your 4 year and 10 year RAPM studies? I'd imagine its hard to do it because its difficult to adjust for guys who improved much faster than their aging curve (ex: Dragic). 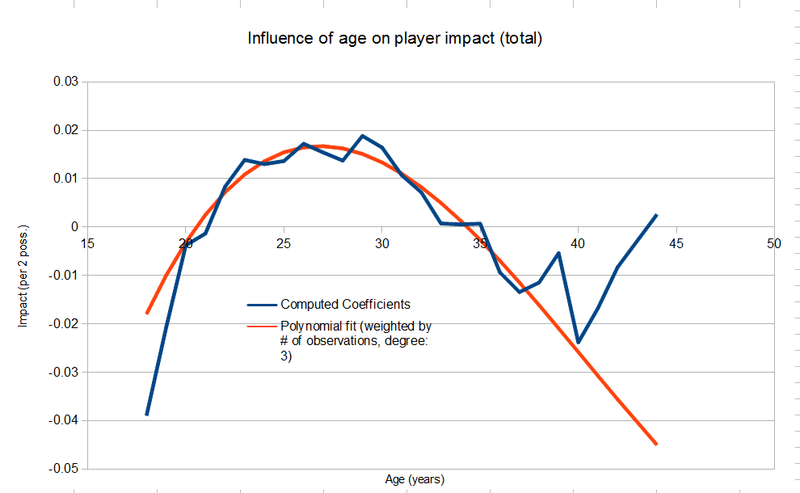 colts18 wrote: Did you use an aging curve on your 4 year and 10 year RAPM studies? 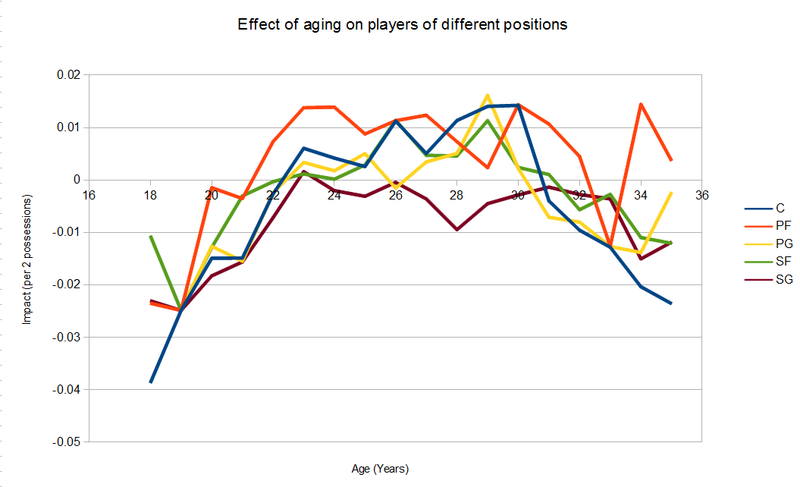 I'd imagine its hard to do it because its difficult to adjust for guys who improved much faster than their aging curve (ex: Dragic). So won't this be very influenced by sample bias, causing the ends of the curve to be inflated? nbo2 wrote: So won't this be very influenced by sample bias, causing the ends of the curve to be inflated?